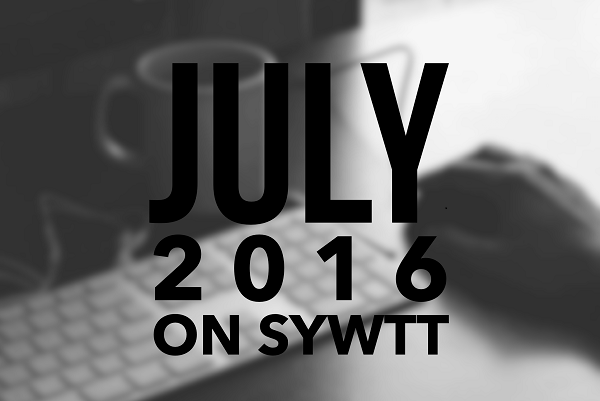 July 2016 On SYWTT | So You Want To Teach? July 2016 was a great month as I continue getting back into the blogging groove of things. Below are some highlights. I discovered Pinterest and began to see that many of the articles on my site don’t look so great on there. As a result, I began making images to go along with my new articles. Additionally, I have begun going back through the archives to create images for some of the more popular older articles. As time progresses, I will get to more and more of them. Along with that, I continue going back and adjusting formatting of old articles, as web standards have changed quite a bit since 2007. I have also started work on curating some of the articles by creating resource posts. 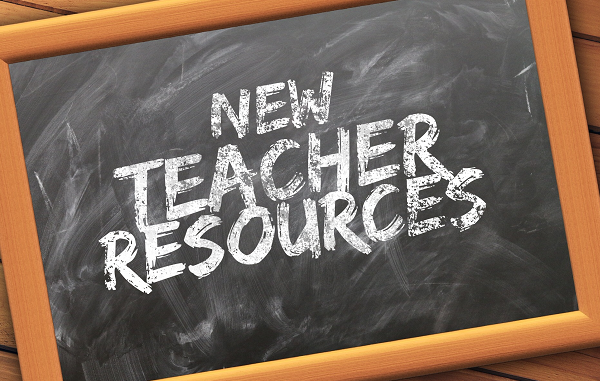 The first one was Finding A Teaching Job, which includes a selection of resources that I have put together over the years. And of course, content was added to the blog. Here’s a summary of each of the articles that were published this month. Have you ever noticed how you can walk into a classroom and hear the teacher talking, and the students being quiet? They are given directions, and nobody challenges the assignment. What is it that makes that happen? 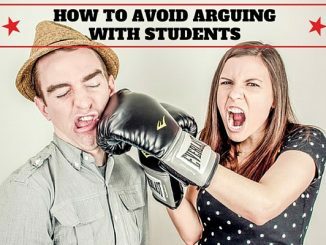 This article includes a few suggestions that I have found helpful over the years. 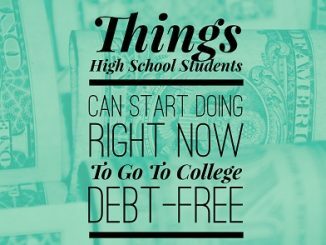 We’ve all had our share of students whose purpose in life seems to be making our own life miserable. If you haven’t, well you’re in luck. 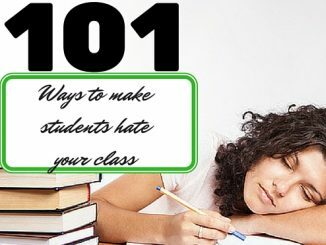 Here is a list of ways to make students hate your class. Obviously this article is a bit sarcastic, but there plenty of things that can be gleaned from it. 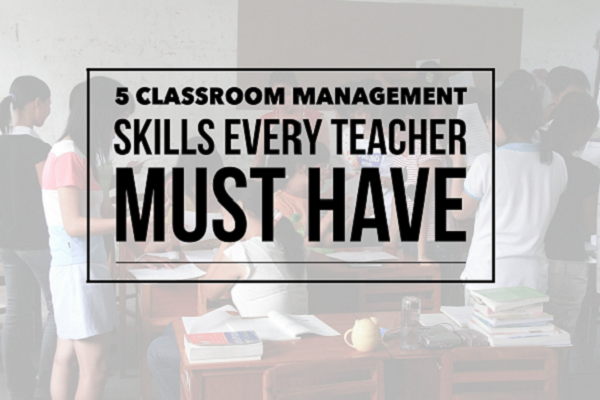 I am convinced that many of the best lessons I learned about teaching were from some of the weakest teachers that I have seen throughout the years. Learning what not to do is often more instructive than learning what to do. 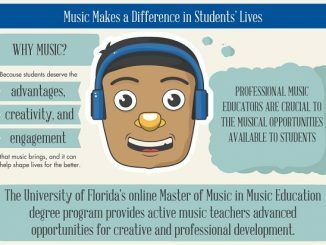 As music educators, we often focus our advocacy attention on the curricular benefits of music and gloss over many of the aesthetic benefits. 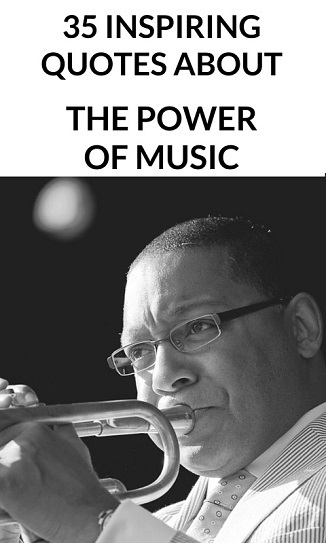 The power of music is tremendous. I collected 35 Inspiring Quotes About the Power of Music and made a series of images. I have a couple of authors, traditional classical, jazz, classic rock, and modern musicians represented and ordered them by birth date. Highlights from the list include: Mozart, Beethoven, Duke Ellington, Louis Armstrong, Ella Fitzgerald, Dizzy Gillsepie, Jimi Hendrix, Eric Clapton, Stevie Wonder, Prince, Beyonce, and Taylor Swift. In the recent blog post 10 Habits of People Who Always Have Great Ideas, Ideapod author Lachlan Brown highlights 10 characteristics of creative people. I encourage you to go read the article. 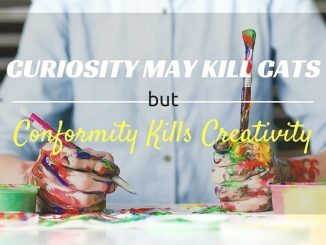 As I was reading through the list, I was struck by two thoughts: “Hey, those are all habits I cultivate in my life!” and “Wow, wouldn’t it be great to have students like that in my class?” This article explores how I nurture creativity in my life as well as in my students. Many people live their lives without impacting more than a few hundred people. 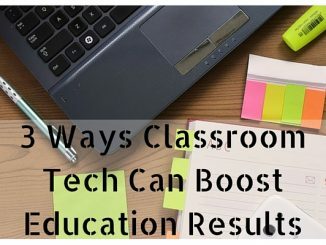 Teachers often make that kind of impact over the course of one year. 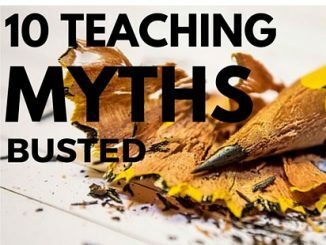 This kind of responsibility can be intimidating, and is one of the main reasons that I continually encourage my readers to strive toward being great teachers. 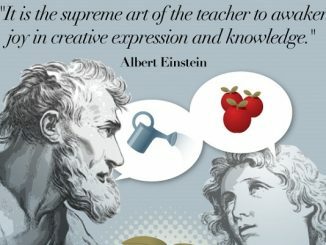 This infographic below looks at some of the qualities of great teachers. Keep aiming higher, my friends. The world needs great teachers like you! Additionally, we had some guest contributions this month. As we approach the beginning of the new school year, high school teachers will undoubtedly be approached by seniors for help with college applications. What do you tell them? How can you help? Writing a great essay is a good start, but there are other ways to make any college application stand out, and the best time to begin addressing that is now. 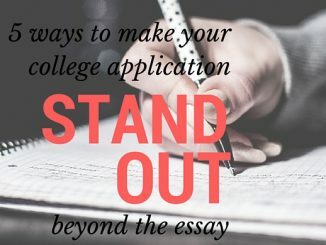 In today’s article, Vera Reed explores some other ways we can guide our students toward making their college application stand out. 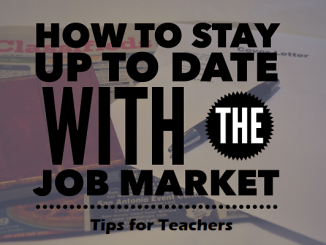 As a teacher, the job market can be a tough place. In a field where competition is high and landing your ideal placement takes patience, you won’t want to fall behind on shifts and general goings-on in the job market. 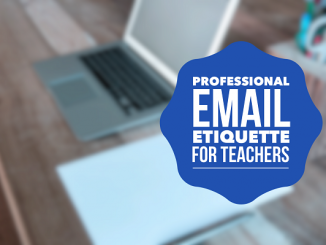 If you do fall behind, you may miss out on opportunities or professional development that are critical to your career as an educator. 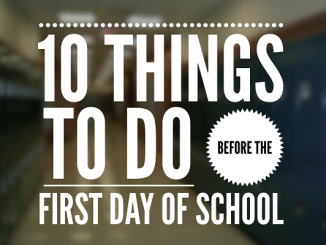 Check out these tips to make sure you stay in the game.